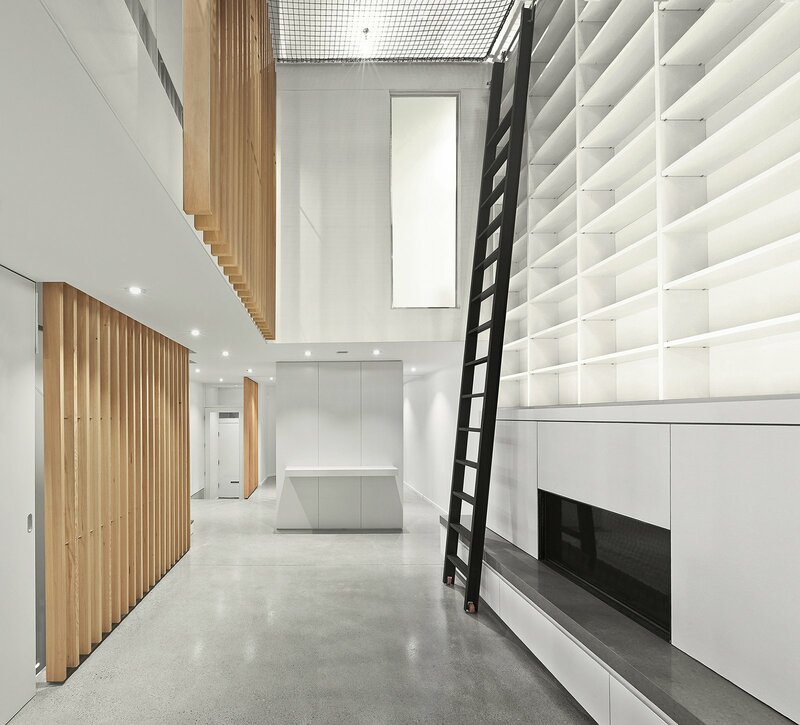 The Atrium Townhome by Robitaille Curtis has a 32-foot atrium with a skylight running the full width of the house. The third story features a net “floor” at the top of the atrium that turns the void into a dramatic play surface adjacent to the kid’s bedrooms. The use of a net in this location precludes the need for guardrails and opens the floor plan to unimpeded views to and from the third floor. Riggers from Cirque du Soleil provided and installed the trapeze net.